While Pinterest doesn’t have anywhere near the scale or size of Facebook, or even Twitter, the platform has been slowly building its eCommerce options and establishing itself as a discovery network, a key product and idea resource for those who use it. Pinterest may only have 200 million monthly active users, but those users come with clear intent – in some cases, clearer than those turning to Google. Underlining this, Pinterest recently commissioned a study of more than 1,500 Pinners to get more perspective on why they use the platform, how they use it, and how Pinterest influences their shopping behavior. And the numbers show, once again, why Pinterest can be a valuable addition for those brands that take the time to tap into its usage trends – here’s what they found. The first key finding was that 59% of weekly users indicated that they love Pinterest. "That figure is 11 percentage points higher than their rating for the next highest platform, Facebook (48%), and 21 points higher than Snap (38%)." Again, while Pinterest doesn’t have as many users, those who do use the platform are very dedicated to it, and it’s become a key part of their purchase process. Indeed, 61% of respondents said Pinterest is where they ‘find ideas to be their best selves’. The next highest platform on this front was Google, which came in at 40%. Pinners turn to the platform for ideas and inspiration, and come with clear goals in mind. This is why Pinterest CEO Ben Silbermann has stated previously that Pinterest is not a social network, it’s a visual discovery engine, through which users connect with product ideas and items they want in their life. That’s a key trend to note when looking to market on Pinterest. 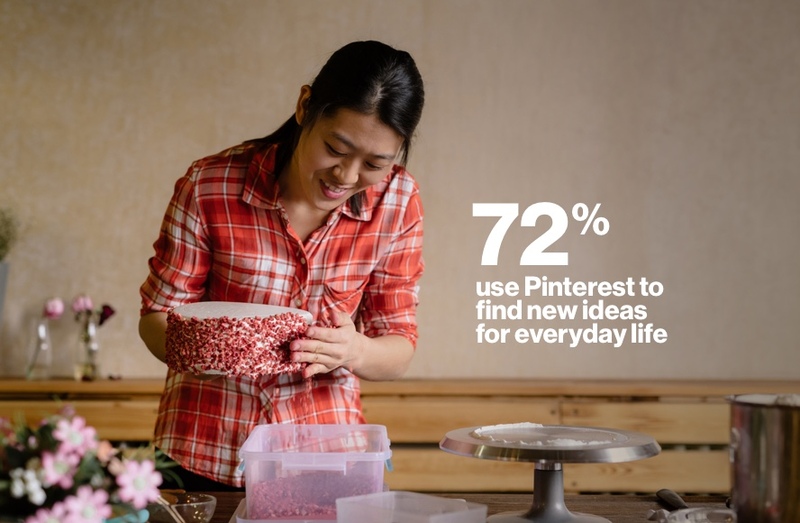 In another element of the study, the researchers found that 72% of respondents said that they use Pinterest to find new ideas for their everyday life or hobbies - nearly double that of Google. In some ways, you can see Pinterest as more of a rival for Google than, say, Facebook. They’re not comparable, of course, Pinterest’s search volume would only equate to a fraction of Google’s traffic, but still, conceptually, Pinterest is more aligned with search behavior than social engagement. Pinterest notes that for some respondents, the platform has even become their default search engine, with the visual nature of Pins and the diversity of related search matches providing a more engaging experience. A complete listing of industry-specific insights is available in the full report. The final element of the study looked at how Pinners respond to ad content on the platform, with the researchers finding that close to three quarters of respondents (73%) see Pinterest content from brands as useful, which is true for both organic and Promoted Pins. 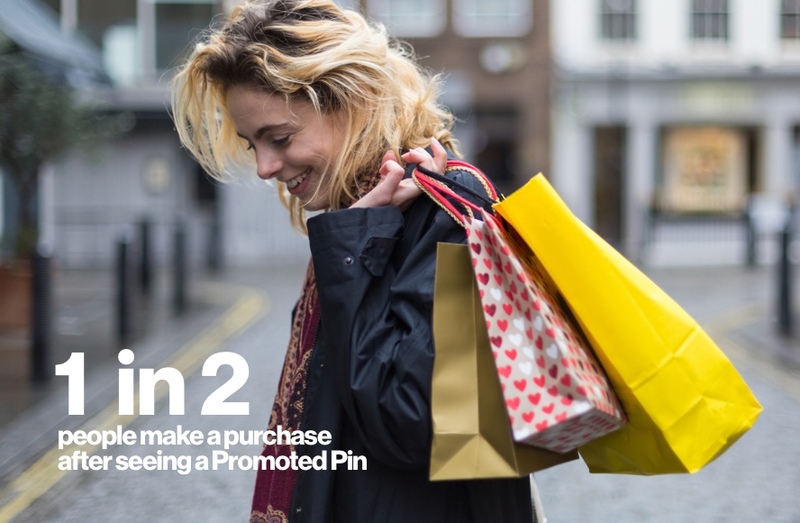 The study also found that 61% of Pinners said they’d discovered new brands or products from Promoted Pins, and half of them had made a purchase after seeing one. There’s always some level of skepticism when you read results like this – ‘study commissioned by social platform finds its ads are highly effective’. That’s not to question the methodology of the independent teams analyzing the data, but of course you’d expect a commissioned study to find positive results. That said, the findings present here align with previous studies on Pinner behavior, and the presentation format of Pinterest’s promoted content, along with their advanced targeting options does make them a more natural, native-feeling ad option which aligns with audience intent. It makes sense that Pinners would be seeing benefit from Pinterest ads, especially as Pinterest continues to refine its ad tools in line with audience interests. It’s another interesting study from Pinterest, underlining why the platform is worthy of specific consideration, and attention, from brands. As noted, often Pinterest gets overlooked because of its comparative audience size, but as highlighted here, it can be a highly effective platform for marketers, with the purchase intent among Pinners higher than other networks.